Motorcycle rides in the spring are among the best rides on any motorcycle enthusiast’s list. Getting out on your motorcycle after a long winter of watching it collect dust in the garage really lifts the spirits. But before your first ride of the spring, you will want to take some time for safety and give your motorcycle and gear an inspection. Look for any damage on your helmet and replace it if the damage can not be fixed. If you do not wear a helmet when you ride, we hope you will take these statistics into account: A recent study has shown that motorcycle helmets are 69% effective in preventing brain injuries and 42% effective in preventing motorcyclist deaths. (Lui, Ivers, Norton, Boufous, Blows and Lo, 2008). Give your motorcycle a ‘spring cleaning’ as well. Check all the fluids, give it an oil change, check the brakes, and fix anything that could have an effect on the safety of your ride. Make sure you have the correct gear for your ride. Eye protection is also important; make sure your glasses will be able to protect your eyes during your rides. Do a review of the rules of the road for motorcyclists. For updated laws, check out AmericanMotorcyclist.com. Map out your route and let someone know where you are going in case you need help at any point along the way. And remember, if you decide to stop for a bite to eat, skip the alcoholic drinks. Wait until you get home to celebrate your first ride of the season. If you are uncertain about your current motorcycle insurance policy or would like to review all your options, please call us with your questions and concerns. 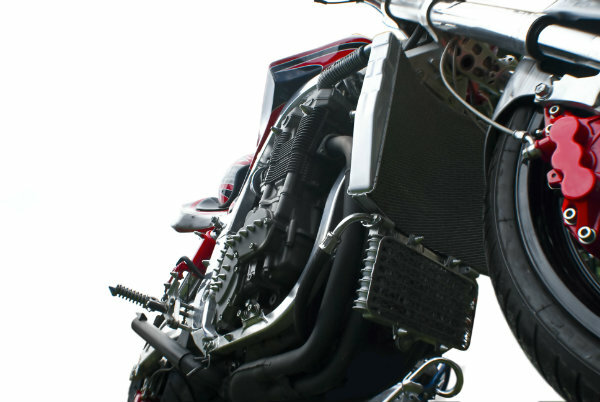 We will get you the policy you need so you can relax and enjoy your motorcycle this season.